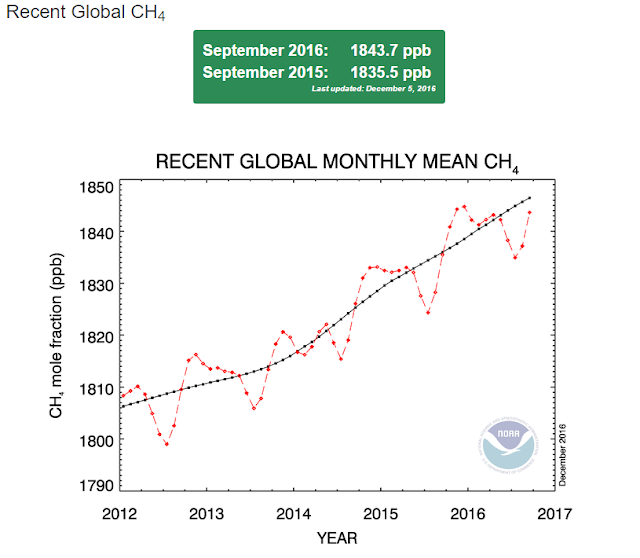 On January 5, 2017, NOAA ESRL published the preliminary October, 2016 global methane mean - a new high of 1849.7 ppb. It banged the top of the chart, with the highest recorded CH4 since July, 1983. This methane mean is almost 225 ppb or 14% higher in concentration since NOAA ESRL records began. 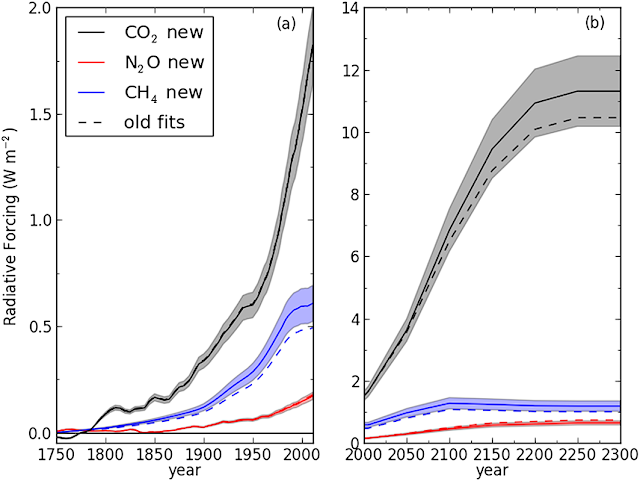 increasing rate of methane release which began accelerating in February, 2007, the last month in which year to year CH4 change was negative compared to the prior year. 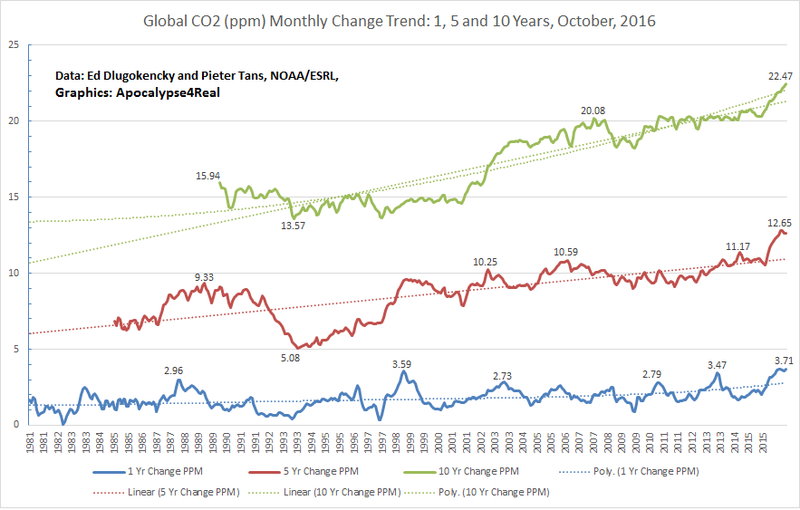 The five and ten year increases in global methane mean by month, illustrate the continual acceleration of cumulative long term change. The 5 year difference in global mean methane was 40 ppb in October 2016 compared to 2011. This high a difference is comparable to March, 1994 compared to 1989. 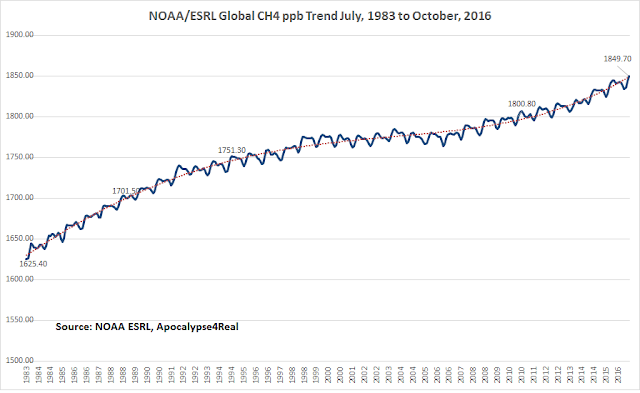 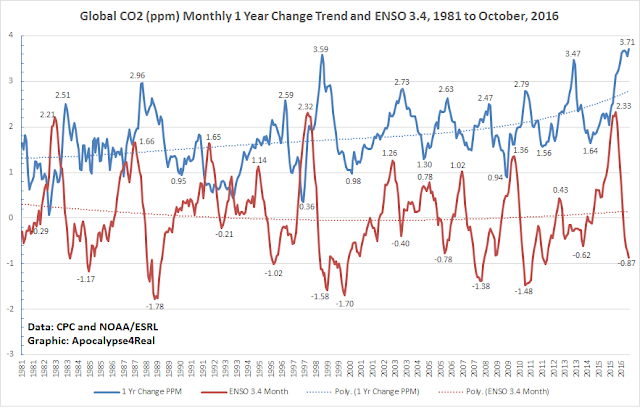 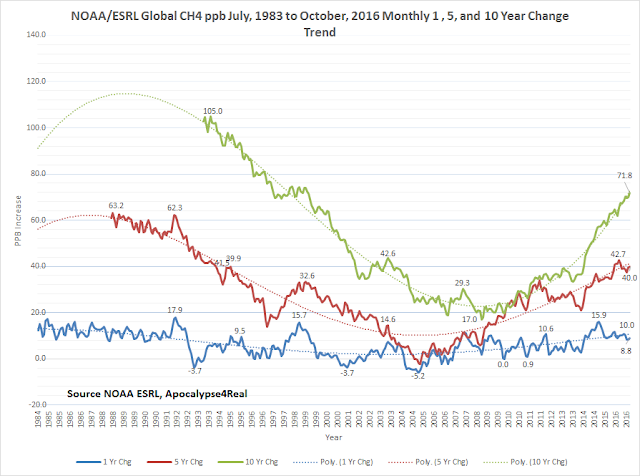 The ten year difference is again at a monthly record high, a ten year difference of 71.8 ppb which has not been observed since April, 1999. 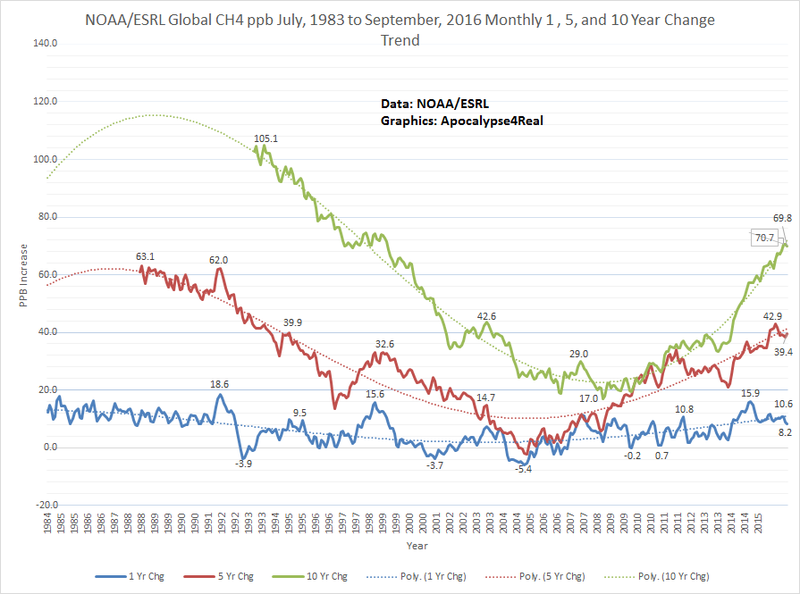 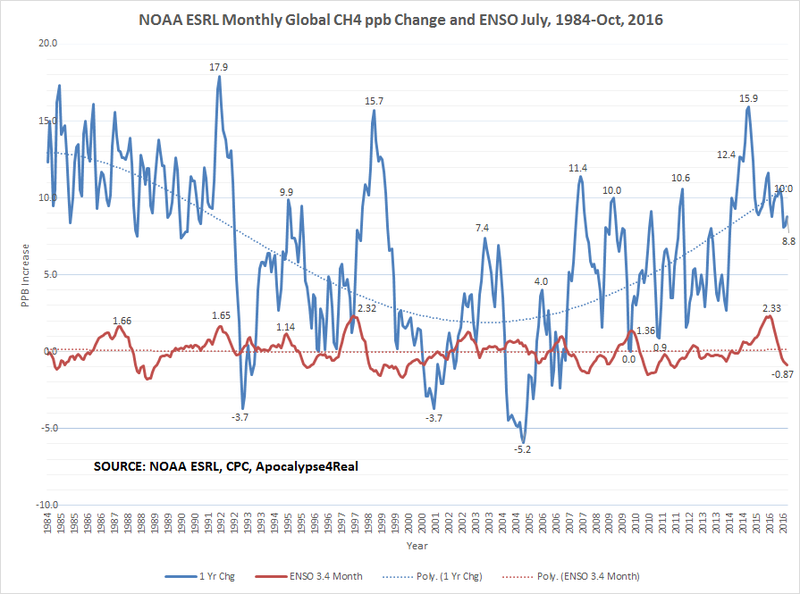 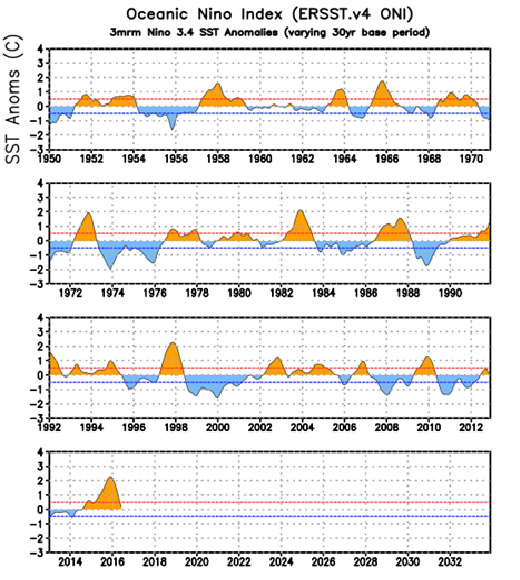 Any impact caused by ENSO change is not obvious in October, 2016, since La Nina deepened slightly, but the CH4 global annual mean change increased rather than declined. We again seem to be on track for another year of high increases of CH4, and while it has been argued in recent literature that the main reasons for increase are rainfall in the tropics and rice cultivation, there seems to be more that may be driving the methane increase. 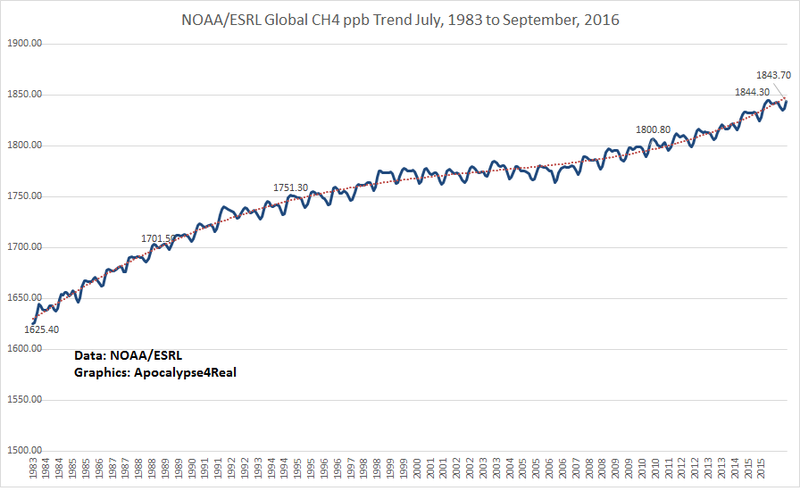 More on that in another post.